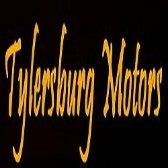 Tylersburg Motors is your number one used car dealer in the Tri-County, Northwest, Pa area. If your looking for a preowned vehicle in Forest, Venango, Clarion counties or beyond, we offer great deals on quality preowned vehicles. We are located at 8071 Route 36 and are available by phone at 814-744-1023 . We offer the best prices on a quality used cars, trucks, SUVs, and vans. All vehicles are newly serviced and inspected before sale, and a warranty is included with all eligible vehicles. See why so many people travel so far for our No Hassle, No Haggle, No Excuses guaranty on quality preowned vehicles. Browse our website for detailed information about each vehicle, a picture gallery, driving directions, hours of service, as well as convenient ways to contact us for more information.